Carpets clean, dry and ready to use in one hour – guaranteed! Getting your carpets cleaned might seem pretty straightforward but actually, choosing the right carpet cleaner in Melbourne is more complicated than you might think. That’s because you’ll find that most traditional carpet cleaning companies use a hot-water extraction system (mistakenly referred to as ‘steam cleaning’), which relies on a mixture of chemicals and hot water to do the cleaning. This method can be especially damaging to fabric fibres, leaving carpets soaking wet and with chemical smells and residues that act as a magnet for dirt. Happily, there is another way to get your carpets thoroughly and hygienically cleaned. 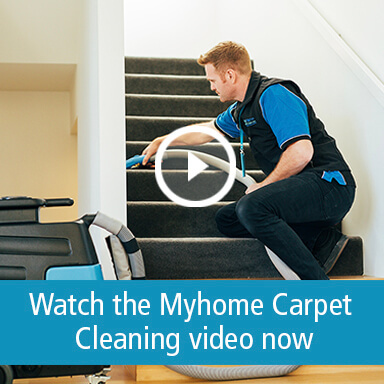 At Myhome carpet cleaning Melbourne, we’ve developed our own Dry-Touch Carpet Cleaning System that uses an encapsulation process to deliver dry, clean carpets without any of the drawbacks associated with traditional cleaning methods. This new polymer technology allows us to effortlessly remove dirt and oils that cause your carpets to discolour, reviving the soft look and feel without leaving them soaking wet and prone to shrinkage. So, for carpet dry cleaning Melbourne, think Myhome and our Dry-Touch System. 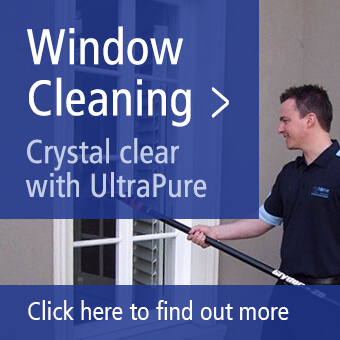 Call us today on 13 22 31 for a free, no obligation quotation. When you call Myhome Carpet Cleaner Melbourne, your carpets will not only get the fresh smell, soft feel and clean look you’d expect from any good cleaning company, but you’ll also see a number of other benefits. It’s usual to get your carpets cleaned once you notice they look a little grubby, discoloured or perhaps stained in some way. But actually, getting your carpets cleaned is more about what you can’t see than what you can see, and getting them cleaned regularly can make your home a healthier place. That’s because unclean carpets are a haven for dust, potentially harmful air pollutants and dust mites, which can all heighten the chance of an asthma, eczema, rhinitis or allergic attack. Myhome’s unique Dry-Touch Carpet Cleaning System reaches deep down into the pile, removing those particles, making your home safe for you and your family. For hygienically clean carpets, without the risks and disadvantages of traditional hot-water extraction methods, call us now on 13 22 31 for a free, no obligation quotation.